Promotional Umbrellas Are More Than Just Rain And Wind! When you give out business gifts as part of an advertising campaign, it’s important to choose items that stand out from the crowd. You'll want to choose promotional items that people will want badly enough that they'll take the steps needed to earn it. Promotional golf umbrellas inparticular are a popular choice for marketing campaigns. 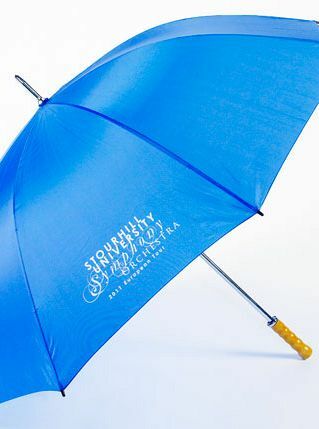 In fact, their combination of utility and style makes promotional printed umbrellas one of the most sought after promotional gifts in their price range. 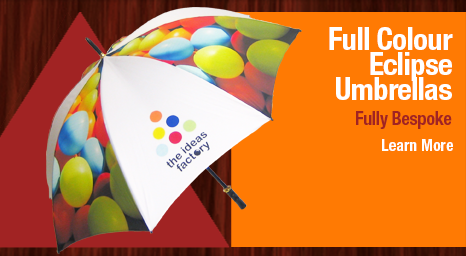 Check out the colosall range of umbrellas at massively discounted prices and turbo fast delivery from the UK's promotional gifts favourite. 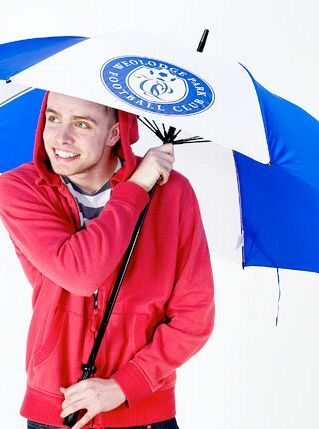 Fill in a rapid quote form or call 0844 391 5760 and speak to one of our promotional umbrella specialists today!